As a very first step to consider before buying, planting & placing large garden containers is where do you want them to be placed. It's totally practical to place the pots before you fill them with gravel, pot shards, potting mix and plant materials. The added weight all these items will add make it cumbersome to move the pot after added. 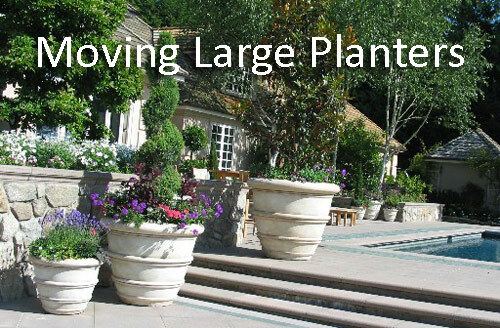 If you have to move your garden pots after then here are a few tips to help. 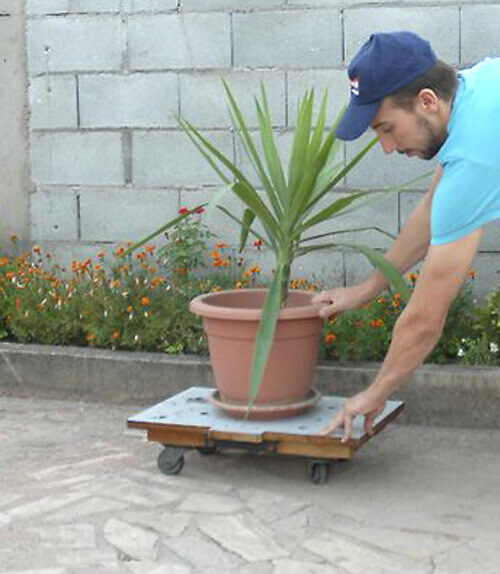 When it comes to moving large garden pots for whatever reason may arise you can use wooden dollies made for this purpose, they make plastic saucer with wheels on them or purchase a pot lifter that we sell that works very well. 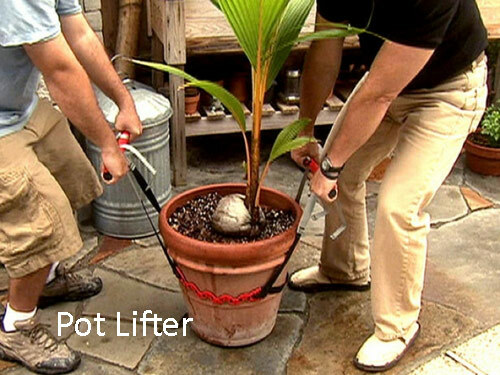 All are great for moving large pots but just make sure they can handle the weight before trying any of these methods. Sometimes you can use a hand truck to move heavy pottery so that you are not putting all the weight of large planters on your back. You may need to ask a neighbor or yard person to help out. If you have to move it up or down steps try using 2 wooden planks to form a ram you can slid the large container down or up on. 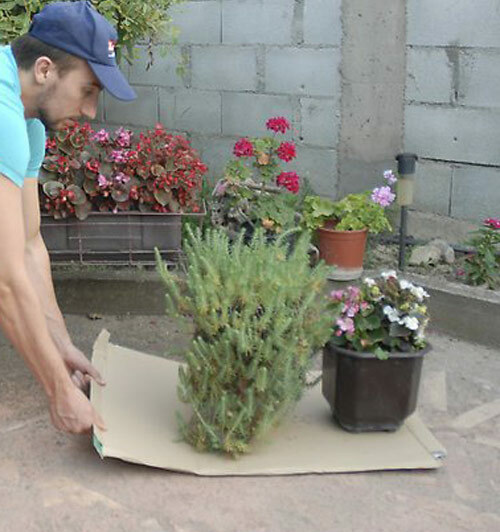 We have even seen a piece of cardboard placed under the flower pot making it easier to slide the pot along a patio surface. All in all the most important point is to place the planter where it needs to stay before you plant it. And, of course don't water it right before moving so that the potting soil is lighter and not weighed down from the moisture. Once moved, leave the plant alone so it can climatise to the new location. This is not the time to trim or cut back a potted plant. It has already been thru enough of a shock, having been moved.